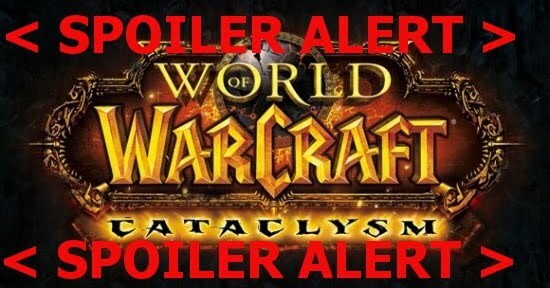 Cataclysm Beta: Portals linking Darnassus to Exodar!!! To avoid upsetting anyone all my beta information is going to be hidden from the main page, So if you want to have content spoiled you will need to click the “read more” link further down the page. The only clue will be from the title of the post but these will, I promise, always be vague enough to not give anything away. My purpose of playing the beta is to try to break the game, I’m not doing any actual content that I am likely to run Evlyxx, or any of my alts through a kajillion times after the launch. I am here for exploration, looking at the older Azeroth content and to see where I need to go to be able to power level professions. If you have any requests for places you’d like me to go or NPCs to visit drop me a line at evlyxx at evlyxx dot com or leave me a comment below. More Cataclysm goodies, 2 in a row? I do spoil you, but heck you’re worth it my friends. Today the news is that there are now portals linking Exodar and Darnassus. The portals are located near each cities portal to the Dark Portal in the Blasted Lands in the mage trainer area. Now this evens the field with the Horde who had the teleport from Undercity to Silvermoon since TBC launch. Sure it would have been nicer for Exodar to Ironforge or even Stormwind but at least it will make travel for low level dranei and night elf characters faster between the 2 Alliance ghost towns.